The National Hotel has new owners. We welcome them to the community and wish them all the best as they restore the hotel to its former beauty. And we look forward to the day when “I’ll meet you at the National” is heard among friends. The new owners have requested that the city abandon the National Alley along the side of the hotel. They seek to trade the land occupied by the Alley for a strip of land adjacent to the freeway on ramp. I think it would be unwise for the city to abandon National Alley and urge the Council to reject the proposal. The National Alley has provided public access to Spring Street since at least 1898 (Sanborn map), approximately 120 years. The Alley provides public access to the public parking lot behind the National Hotel. This is one of the largest and most important parking lots in the downtown Nevada City. It is filled to capacity on many days. And the city has approved plans to increase the capacity by 22 new spaces. Restricting access to this public parking lot and Spring Street businesses doesn’t make sense. In addition, under the proposal, all traffic currently using National Alley to access the public parking lot and Spring Street businesses will be routed through the Broad/Pine and Spring/Pine intersections. This is problematic. For example, the Alley gets significant use in the morning hours when trucks are parked in both lanes of Broad Street while goods are being unloaded and delivered to the businesses on Broad Street. Under the proposal, all motorists on Broad Street will be required to wait for an opening in order to snake through the parked trucks in order to proceed up Broad Street. This will back up traffic on Coyote Street, Broad Street and on the bridge over the freeway. In a letter to the Planning Commission, City staff acknowledges that the Spring/Pine intersection is currently “congested at various times of the day.” In addition, Spring Street behind the Elks Building is so narrow that two cars cannot pass easily when cars are both entering and leaving the parking lot. In addition, National Alley is a second route for fire, medical and other emergency vehicles. In the event of an emergency, these vehicles would need to compete with existing traffic to access Spring Street. The new hotel owner wants secured parking for his guests. To do so, they are asking for the public to give up an integral part of the downtown traffic pattern and an asset the city has had for at least 120 years. I believe hotel parking can be secured without abandoning National Alley. Clearly, the new owners would benefit from the abandonment of National Alley. But what would the public get in return? A strip of land along the fence of the freeway on ramp. From the map submitted to the Planning Commission, the width and topography of the land would not be suitable for construction of an Americans with Disabilities Act compliant path. In addition, the City lacks the funds with which to construct such a path. The relinquishment of public property is a very serious matter. I believe that public property should only be given away when there is a significant and quantifiable public benefit and the public is fully reimbursed for the loss of the benefits of owning the property. Once public property is given away, it is no longer available to the public. Ever. I support the restoration of the National Hotel to its former glory and believe that it will again be an asset to Nevada City. However, I oppose the abandonment of National Alley, because I do not believe the benefit to the public is sufficient to warrant giving away this public land which is a critical part of the downtown vehicular traffic pattern as well as access to the Spring Street businesses and the public parking lot at the end of the Alley. I urge residents to tell the City Council to reject the pending request and to work with the new owners to address their parking concerns on the property they already own. 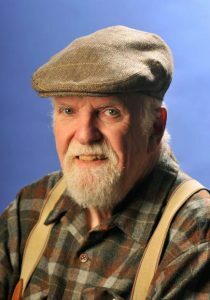 Michael Hill-Weld lives near Lake Vera and is a former resident of Nevada City, a former member of the Nevada City Planning Commission and a retired Nevada County Director of Transportation and Sanitation. Thomas Elias: Where, when will fire disaster buck-passing stop in California?